Do you care for a loved one with limited mobility or do you yourself spend most of your day in a bed or recliner? Your risk factors for developing a bedsore, or pressure ulcer, increase when you are confined to a sitting or lying position. Why? Because blood circulation slows down when you’re not moving, and bonier parts of the body are consistently experiencing pressure from the surface on which you’re lying or sitting. The good news is that bedsores are preventable and treatable. With sufficient knowledge and medical help for treatment, preventing tissue breakdown and infection can be aided with the help of these three do’s and don’ts. When it comes to bedsores, the wound can transition through stages dangerously quickly, so early detection and medical treatment is critical. A stage I bedsore may simply present as a reddish discoloration of the skin over a bony protrusion like the tailbone, elbows, shoulder blades, heels, or hips. At the first sign, seeking medical attention from your (or your loved one’s) doctor is a must, as internal tissues can quickly get cut off from blow flow, die, decay, and lead to life-threatening infections. A primary care physician can diagnose the stage of a pressure ulcer, provide guided instruction for treatment, refer you or your loved one to a wound specialist, and even write an order for home health to visit to help monitor and treat the sore. No amount of internet searches and self-diagnosis will help you get the professional knowledge and treatment supplies with which to properly heal and prevent progression of a bedsore. 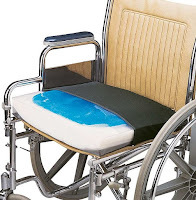 Cushioning plays an important role in aiding and preventing bedsores as it can help redistribute weight of a mobility-limited person who spends most of their time in a bed or recliner. Your average spring-based mattress made mostly with polyester, foam, and cotton batting can increase the pressure placed on vulnerable parts of the body, cutting off blood flow and leading to tissue breakdown and therefore, pressure ulcers. Alternating air pressure mattresses and gel or memory foam mattress toppers provide much-needed relief, comfort, and better weight distribution for patients who spend most of their time in bed. 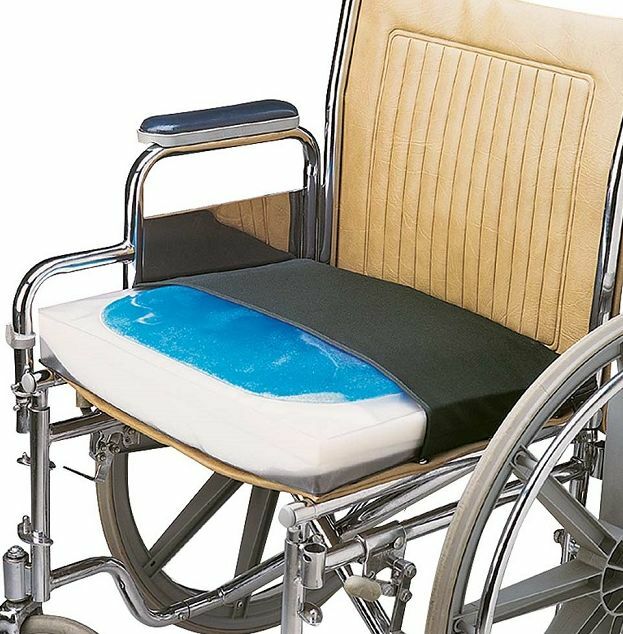 In much the same way, a memory foam or gel cushion for wheelchair allows a patient with susceptible tailbone or hip points to sit comfortably and still get out and about. Donut pillows which are round with a hole in the middle actually force more pressure on the tailbone when sitting in them and can reopen or worsen existing bedsores. A common misconception is that overly dry skin on a pressure ulcer is more likely to crack and break open. The flipside is just as dangerous, however, as overly moist skin can become macerated and easily tear or break open. Experts recommend applying ‘barrier’ creams to early stage bedsores or bony areas which receive a significant amount of moisture, i.e. the tailbone area of someone who experiences incontinence. A barrier cream keeps out sweat, urine, moisture, and contaminants, helping protect skin as well as prevent infection. Oxygen also plays a significant role in helping existing bedsores heal, so for example, for a patient with a sore on their tailbone, spending intermittent amounts of time flipped on their side with the affected area open to clean, dry air can aid healing and keep skin strong. When it comes to pressure ulcers, what you do and don’t do can make all the difference in preventing skin breakdown, tissue decay, and infection. Stay informed and when in doubt, ask a medical professional.